In his final year as BBC Philharmonic’s Chief Conductor, Juanjo Mena completes a highly-acclaimed Ginastera series with this third volume. Like in his previous series ‘La Música de España’, Mena brings the composer’s creative genius to a more deserved fame, showcasing here three works that belonged to three different period of his compositional life. While the Concierto Argentino is the most significant score of his early years, drawing directly on Argentinian folk music and full of youthful exuberance, the Variaciones Concertantes (more a concerto for orchestra than a set of variations) assumes a more personal and abstract form in accordance with the development of his harmonic ideas in the later stage of his life. 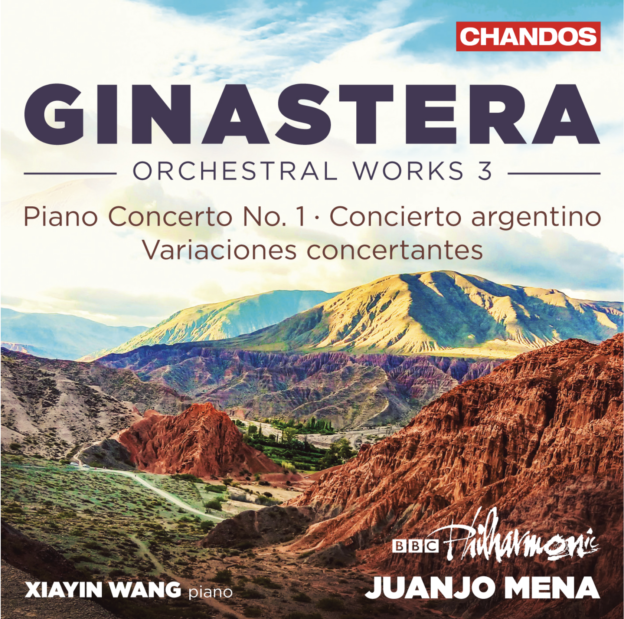 The rhythmic energy and magic scoring of the ‘neo-expressionist’ piano concerto (as Ginastera defined the third phase of his life) is faithfully expressed by the highly technical and virtuosic playing of Xiayin Wang, widely praised for her recent solo recording of piano works by Enrique Granados.